Founded in 1999, INFINEON Technologies AG is a German company with branches in Europe, Asia, Australia, Africa and Japan, which produces semiconductors and system solutions in three main areas: energy efficiency, mobility and security. Headquartered in Neubiberg near Munich and with global presence оn all continents, INFINEON employs nearly 30,000 employees. The company is one of the few in the industry producing a wide range of microcontrollers, smart sensors, transmitters and receivers, integrated circuits for radio frequency and radar applications, integrated power based on semiconductors for powertrain, chassis and electronics, contributing to higher comfort of the driver and passengers in cars, including hybrid and electric cars. INFINEON is also the market leader in the production of power semiconductors for industrial applications, providing greater efficiency and functionality. The company manufactures chargers for household electronic devices, powerful batteries with high efficiency and small size achieving a very high power density. Infineon creates a wide range of microcontrollers and wireless security systems, such as smart cards, mobile payment systems and electronic identification documents. It has a number of facilities in Europe and also a number of R&D centers in France, Singapore, Romania, Taiwan, UK and India. INFINEON' products are a benchmark for premium quality and reliability. VIKIWAT Ltd. is a wholesaler and retailer of a wide range of semiconductors, Hall sensors, baterry chargers, controllers and much more products from INFINEON. In our online and offline stores you can find in stock quantities, flexible prices and fast delivery. 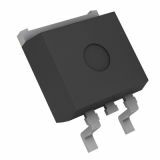 Hall Sensor, TLE4935L PG-SSO-3-2, 3.8-32 VDC, 100 mA, 3 pins Hall-effect sensor, TLE4935L PG-SSO-3-2, with operating voltage 3.8-32 VDC and THT mounting. For more information see the attached file! Transistor IPB60R600C6, CoolMOS MOS-N-FET, 600V, 7A, 0.6Ohm, 63W, TO263 CoolMOS is a revolutionary technology for high voltage power MOSFETs. Applications: PFC stages, hard switching PWM stages and resonant switching PWM stages for e.g. PC Silverbox, Adapter, LCD & PDP TV, Lighting, Server, Telecom and UPS. Transistor IPW60R190C6, CoolMOS MOS-N-FET, 650V, 59A, 0.19ohm, 151W, TO247 CoolMOS is a revolutionary technology for high voltage power MOSFETs. Приложения: PFC stages, hard switching PWM stages and resonant switching PWM stages for e.g. PC Silverbox, Adapter, LCD & PDP TV, Lighting, Server, Telecom and UPS. 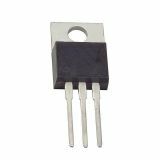 Transistor IRG4PC40UDPBF, IGBT, 600V, 40A, 160W, TO247-3, THT IGBT transistor IRG4PC40UDPBF with collector-emitter voltage 600V and collector current 40A. Suitable for speed control. List Price 11.90лв. VAT Incl. 11.30лв. VAT Incl. 10.71лв. VAT Incl. 10.11лв. VAT Incl. 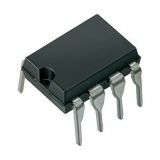 Transistor IRG4BC30SPBCF N-IGBT 600V, 28A, 100W Transistor IRG4BC30SPBCF N-IGBT 600 V, 28 A, 100 W, T0220. Transistor, 1200V, 45A, 200W, N-IGBT Transistor IGBT with integrated ultra fast diode, maximum collector-emitter voltage 1200 V and THT mounting. List Price 7.30лв. VAT Incl. 6.95лв. VAT Incl. 6.57лв. VAT Incl. 6.21лв. VAT Incl. List Price: 4.30лв. VAT Incl. List Price: 4.00лв. VAT Incl. List Price 1.80лв. VAT Incl. 1.62лв. VAT Incl. 1.53лв. VAT Incl. 1.44лв. VAT Incl. List Price: 6.80лв. VAT Incl. 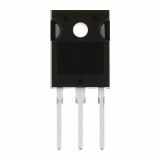 Transistor IRF640NPBF, N-MOSFET, 0.15ohm, 200V, 18A, -55~175°C, 150W, TO220AB, ±20V Transistor IRF640NPBF with N-MOSFET technology, maximum 200 V drain-source voltage and 18 A coil current in a TO220AB standard housing. 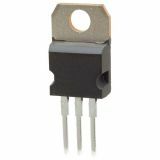 Transistor BUK456-1000 MOS-N-FET 1000V, 3.1 A, 125 W, 5 Ohm Transistor BUK456-1000 MOS-N-FET 1000V, 3.1 A, 125 W, 5 Ohm.